65% of Americans are overweight (58 Million). 75% of Americans predicted overweight by 2015 – in 4 years! Today's overweight children will most likely be tomorrow's overweight and obese adults–if something doesn't change NOW. According to the Center For Disease Control (CDC), the percentage of overweight children aged 6-11 years has almost doubled since the early 1980's. The percentage of overweight adolescents has risen by nearly 300 percent. 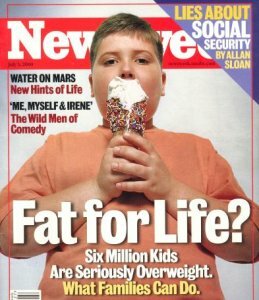 From 1994 to 2001, overweight among pre-school children aged 2-5 years, increased by 42 percent. Approx 20 percent of newly diagnosed cases of childhood diabetes are type 2, associated with obesity. This figure is up from 4 percent in 1990. About 25 percent of all white children are overweight, while 33 percent of African American and Hispanic children are overweight. Over 10 percent of younger preschool children between ages 2 and 5 are overweight, up from 7 percent in 1994. 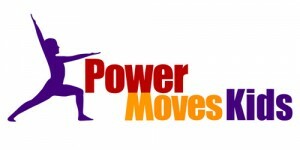 “Winning the WAR against Childhood Obesity: with CHARACTER!” PowerMovesKids Character Education-Fitness Program for all schools. An article in the Herald Sun outlines a program that may have application for local churches. During 12 two-hour healthy living classes for parents over six months, researchers found lasting improvements in children's weight. Dr Anthea Magarey, of Adelaide's Flinders University, taught parents about healthy living and discovered this helped their children aged 5-9 lose about 10 per cent of their weight. Here's an outline of what the classes taught parents, which they were able to bring home to help their children. * Say no to their children's demands. * Set limits on the types of food they could eat. * Establish rules on how much time their children spent watching TV and playing video games. * Set their own healthy goals. * Make good food choices. Researchers found children overall had a 10 per cent weight loss at the end of the six months of classes, and maintained it for 18 months without intervention. Can you see a similar program working at your church? I can! If you have questions about that, just CONTACT us. Click here to see the rest of the article from the Herald Sun in Australia.